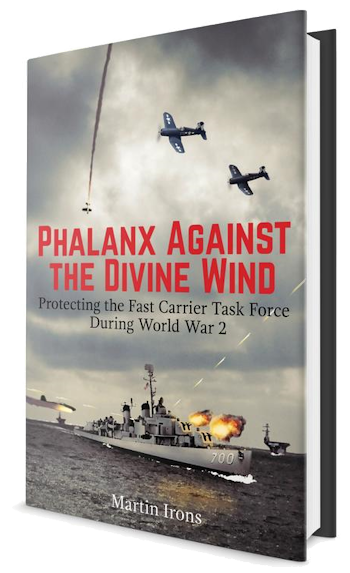 Book Launch: Martin Irons will be at the National Tin Can Sailors Annual Convention August 21st, 2017, at the Valley Forge Casino Resort, King of Prussia, Pennsylvania for the national release of Phalanx Against A Divine Wind. Oct 5-8, 2017: The USS Haynsworth DD 700 Association will hold its annual convention in Scranton, Pennsylvania. Martin Irons will be on hand to sign copies of Phalanx Against a Divine Wind. The book tells the tale of the teenage USS Haynsworth crew that fought for survival during the largest kamikaze attack of World War II. 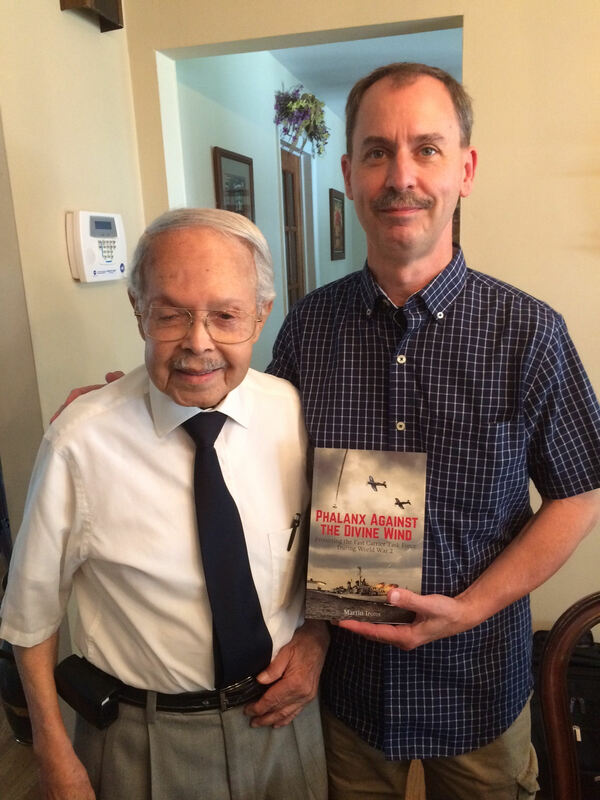 John Vasquez (SM3 44-45) at his home in Pompton Lakes, NJ. 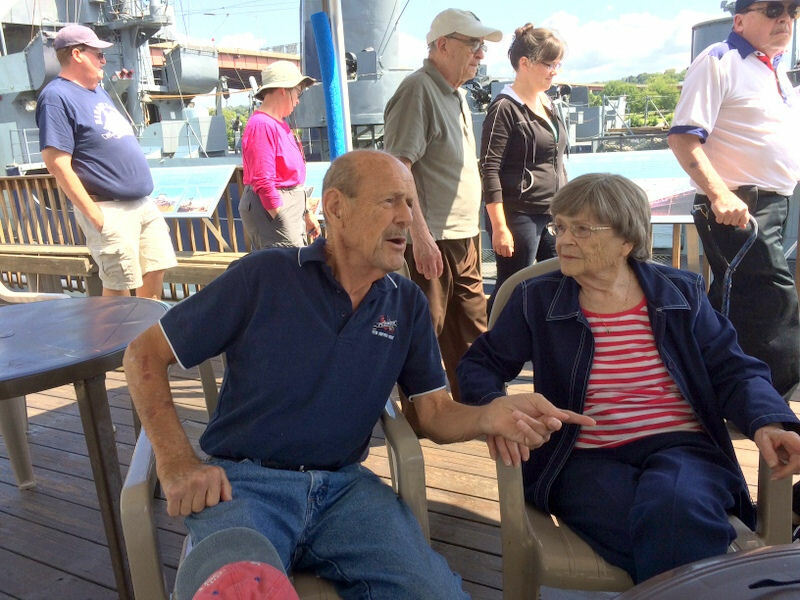 John was seriously injured, but he survived the kamikaze attack. who gave John Last Rites. John still attends daily Catholic mass. Marty Irons said: Moments like these make me proud to have written Phalanx.